Mr. Mark Alsay, Jr., a 2013 program participant at the University of California Los Angeles. 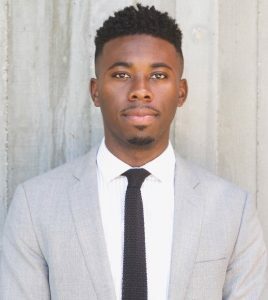 Mr. Alsay graduated from Morehouse College in 2016 with a degree in biology. In the fall of 2017, he will attend the UCLA Fielding School of Public Health, Health Policy and Management program for his MPH. I grew up around many caregivers and was exposed to the self-fulfilling nature of service to others, especially through health and wellness. In addition to my interest in science and medicine, the exposure led me to pursue a career in health. Who are what inspired you? My mom and grandmother, along with other people in my community inspired me to be relentless in my pursuit of self-excellence and to overcome certain obstacles in my path. Being a first generation college student raised in a single parent household, posed many challenges for me in pursuit of a higher education. I didn’t allow those things to define me nor my potential for success so I became very strategic in my approach to overcome those odds which has allowed me to understand the challenges of other individuals so that I may be of assistance. My story is unique because it is my own! A story of a young African American man from the rural south. Through trial and error I have managed to overcome some great odds in my pursuit of excellence in service to others and in my career. All while being an inspiration to others hoping to do the same.